A farmer’s daughter has spoken out after three sheep were savaged to death by loose dogs on her family’s farm. The incident happened in Semley, on the Wiltshire Dorset border, in the early hours of Saturday morning (September 23). One of the sheep suffered a heart attack from the shock of the attack, with another two having to be put down due to the extent of their injuries. 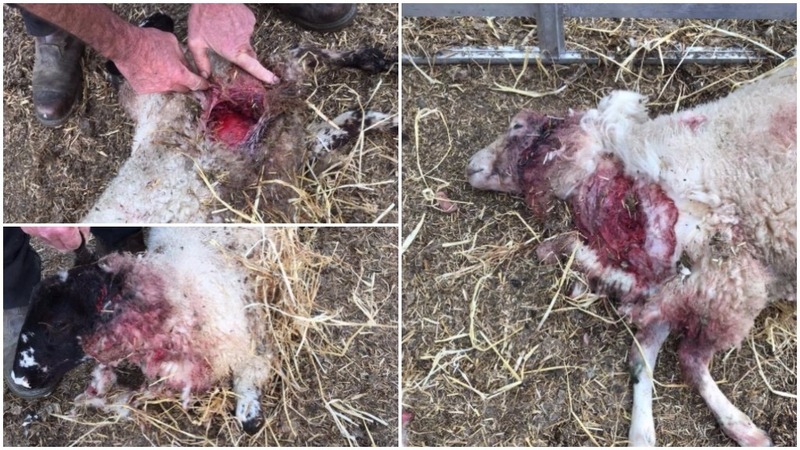 Another three animals - two ewes and a lamb - were left seriously injured and had to be stitched up by a vet. Student veterinary nurse Ellen Bone, 26, told the Farmers Guardian: "They were my dad’s sheep. He has a large flock of Highlanders, North of England Mules and Charolais. "The farm has no rights of way or footpaths on-site and so we are lead to believe these dogs have strayed from a walk or escaped from a garden. "Due to the severity of the injuries and the fact the attack occurred over two fields, we believe the dog or dogs must have been unaccounted for for quite some time and would have undoubtedly returned home covered in blood. 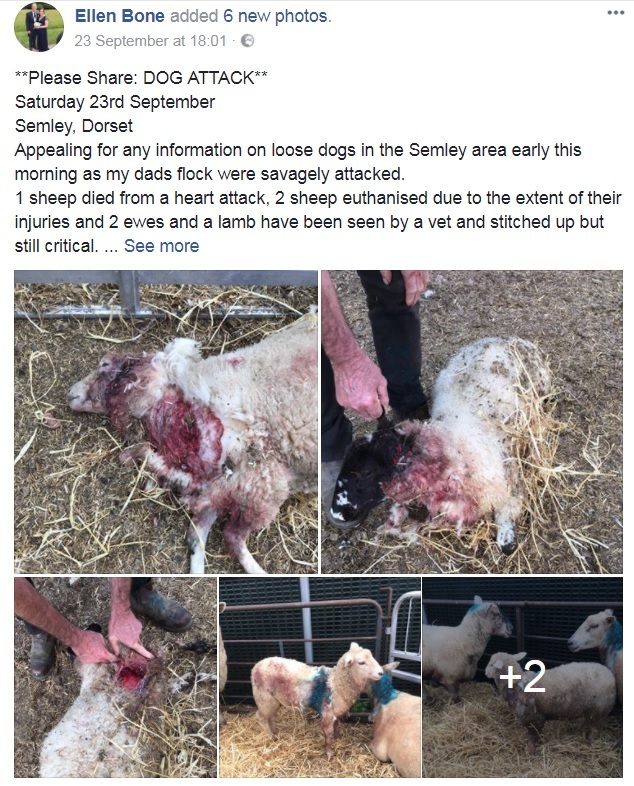 "The state of the sheep following the attack is obviously distressing and we’d like to think the owners of the dogs, when they realised what their dogs had done, would have come forward and taken responsibility. 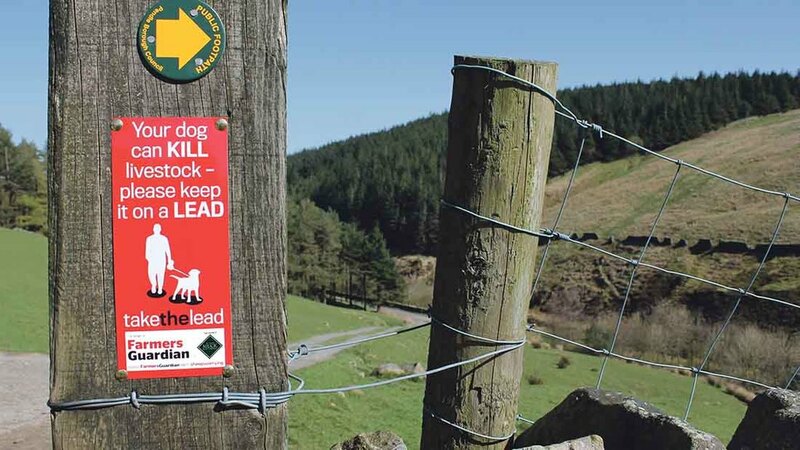 "But mostly we want the message out there of the importance of keeping dogs on leads and under control at all times in the countryside."